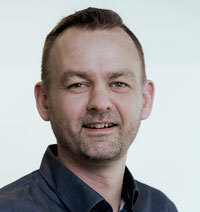 K2 Management today announced that its Board of Directors has appointed Jørn Zielke as Chief Executive Officer (CEO). He will join the company during the first half of 2019, when released from the contract with his current employer. Jørn Zielke has more than 20 years of international experience from the service and energy industries, serving in various CEO or senior management positions over the past 10 years. 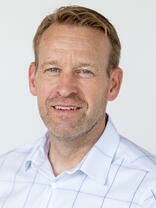 Jørn Zielke (48) comes from a position as CEO in the regional municipality owned utility, Vestforsyning. Vestforsyning is an organization of 175 employees responsible for water supply, waste, heat, energy production (including wind and biomass) and distribution in the Holstebro area (Western Denmark). Previously, Jørn Zielke held various management positions in Denmark, Spain and the United States, including Interim CEO at emergency medical service provider Falck USA with 4500 employees and CEO at two regional Danish utility divisions; EnergiMidt Fiberbredbånd and NRGi Infrastruktur. For full bio, please visit Jørn Zielke’s LinkedIn profile. Jørn Zielke holds a Master’s degree in Law. On the private side Jørn Zielke lives in Ry, close to Aarhus, Denmark. He is married and has three children. Co-founder Lars K. Hammershøj has been acting as interim CEO since Henrik Stamer, by mutual agreement, left the company in October 2018. This will continue until Jørn Zielke fully joins the company. K2 Management, founded in 2007, is a 100 percent independent company. Fully owned by the two founders; Lars K. Hammershøj and Per K. Melgaard. K2 Management supports its clients in their efforts to develop, improve and optimize wind projects to achieve the best possible return on their investment. Our global advisory and service offerings within project management and planning, risk and opportunity management make K2 Management a unique energy project consultancy covering the entire value chain; from the earliest phases of planning and development to the actual construction and maintenance of sustainable energy projects. K2 Management is headquartered in Denmark with 20 global offices and, accumulated, our experienced team has been involved in more than 1500 wind and solar projects.